Like most of the past Christmases, my better half is working. I am seating by the tree planning tomorrow’s Christmas dinner. I am French, and he is Norwegian. 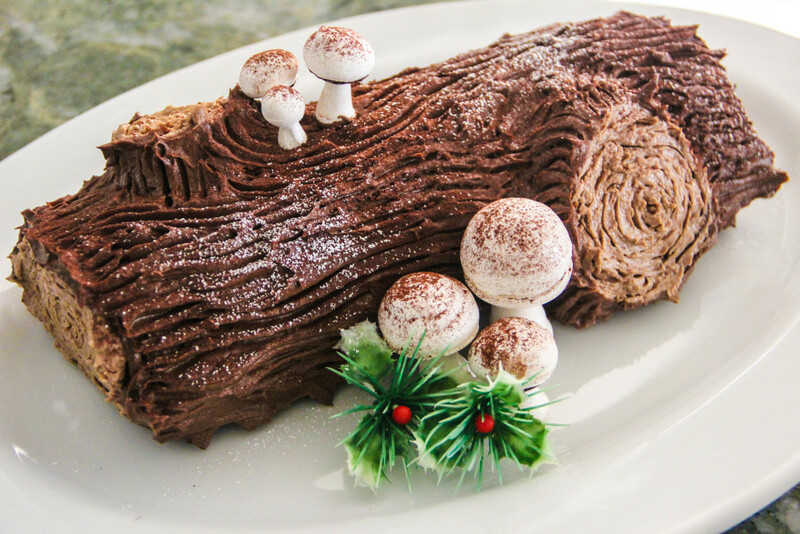 One of France traditional Christmas dessert is the “Bûche de Noël” or Yule Log, and of course it will be part of our celebration. His Christmas traditional delicacies are Krumkake and lefse, and his mom makes some for us every year to enjoy. It had me wondered to find out more about Christmas food traditions from around the world. Was there something else I can make for a change? When I started looking into it, I got overwhelmed. The list is really long, and since we both have a sweet tooth, I decided to narrow my search to desserts only. All the recipes listed below may not be totally true to their original recipes, but hey, they look good to me. You will definitely find a trend from country to country. Candied dry fruits and nuts are used in most of the recipes I found, which could be explained in the history of these traditional Christmas desserts. 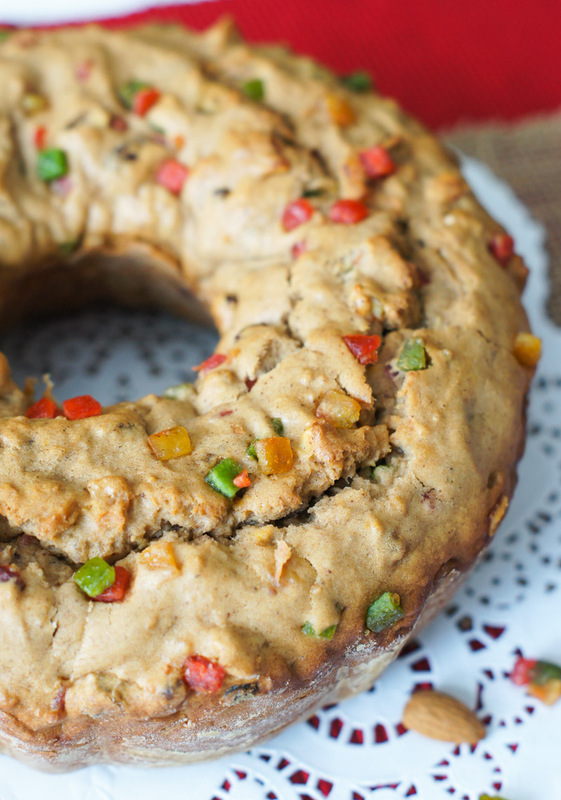 Früchtebrot is a German Christmas Fruitcake made with hazelnuts, almonds and dried fruits. The author of this recipe is from Germany, so she must know what she is doing. 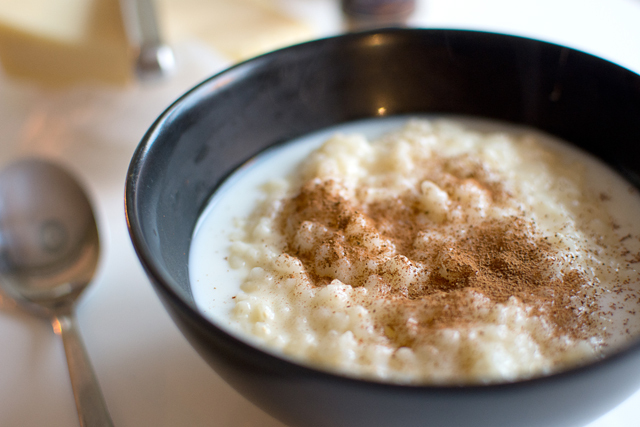 Risgrynsgröt is a porridge made of rice and milk, sprinkled with sugar and cinnamon. It is pretty easy to make with just a few ingredients. It was really good indeed. Greek Christmas breads are made the day before Christmas and there is a lot of care put into their baking. Either plain or sweet spiced, they are always made with the best quality ingredients. 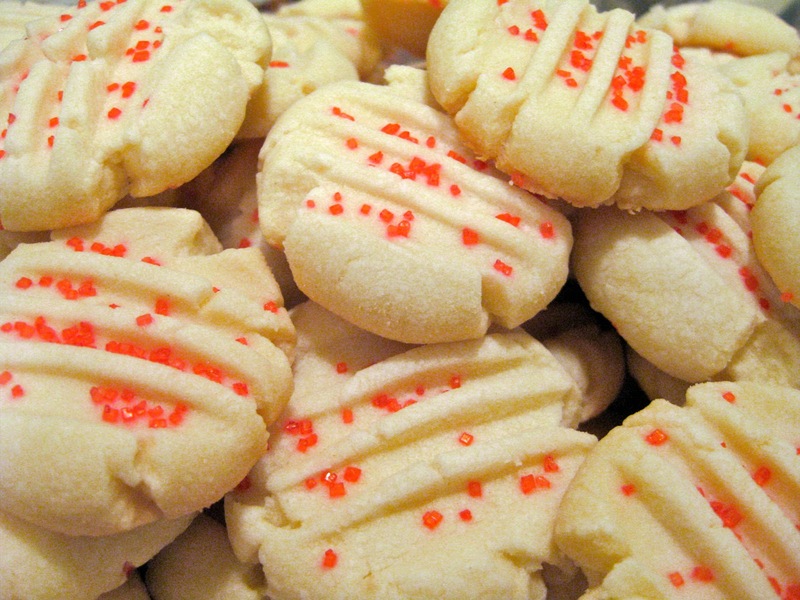 Shortbread originated in Scotland and is widely associated with Christmas in many countries including Canada. The biscuit is traditionally made from one part white sugar, two parts butter and three parts flour. Search the Internet and you will find a plethora of recipes for this common cookie. You can trace the origin of this pie from the British. 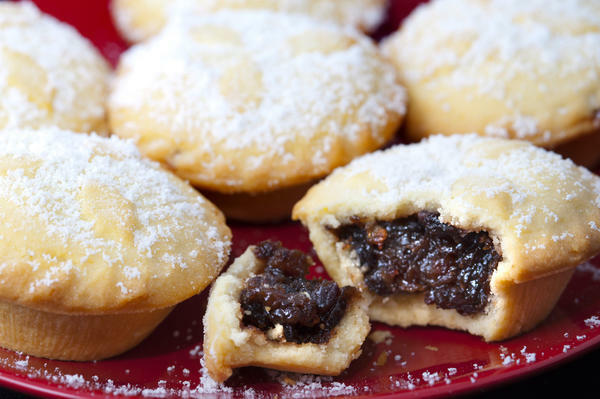 A Mince Pie is a sweet pie filled with a mixture of dried fruits and spice. It’s a cake similar to a sweet sponge cake flavored with ginger and honey. 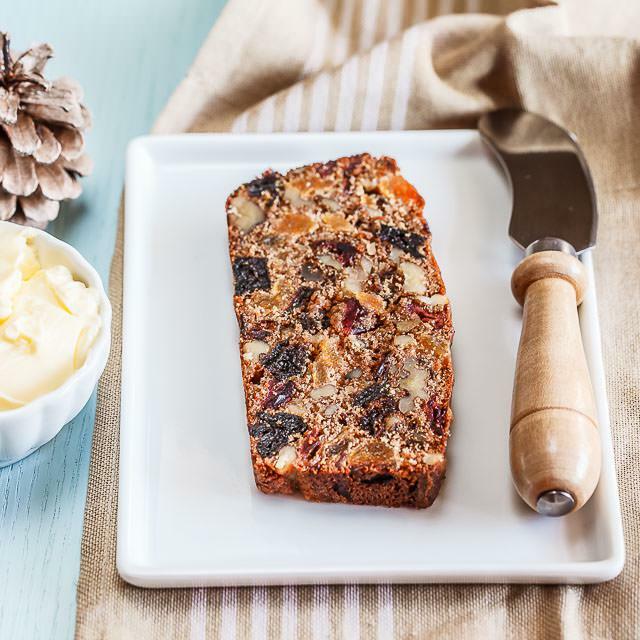 It usually contains candied fruits, raisins, walnuts and almonds. The cake is similar to the Italian Panettone. 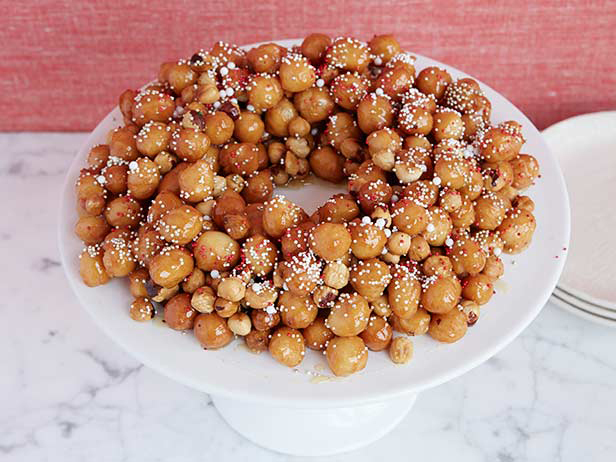 Struffoli is a Neapolitan dish made of deep fried balls of dough about the size of marbles mixed with honey and other sweet ingredients. 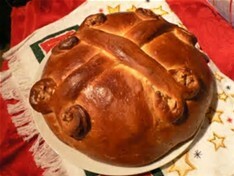 Multiple recipes of this Italian Christmas tradition can be found on Cooking with Nonna website. 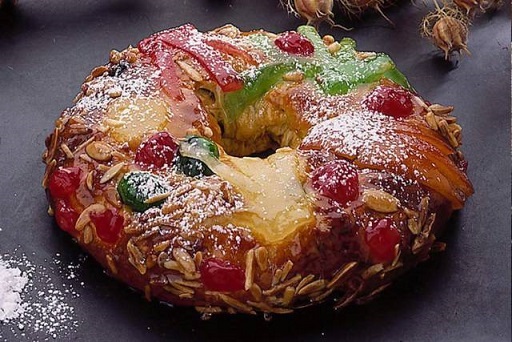 Bolo Rei or Kings cake is round with a large hole in the center covered with dried fruit. It is baked from soft white dough, with raisins, various nuts and crystallized fruit. And of course I did not forget the recipe for the Bûche de Noël I am going to make tomorrow. The Bûche de Noël is the French cake name for a Christmas cake shaped like a log. It is traditionally decorated with confectioners’ sugar to resemble snow on a Yule log. This is one of my favorite recipes. It is “of course” in French, but I’m sure you can figure it out. If not, send me a note, I’ll be glad to translate the recipe if anyone is interested.